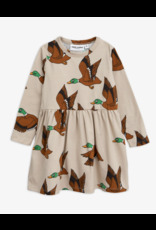 In GOTS certified organic cotton with a touch of stretch for comfort wear, this beige dress has a flying ducks print all over. With a gathered waist and longs sleeves, it is a versatile choice for everyday wear. 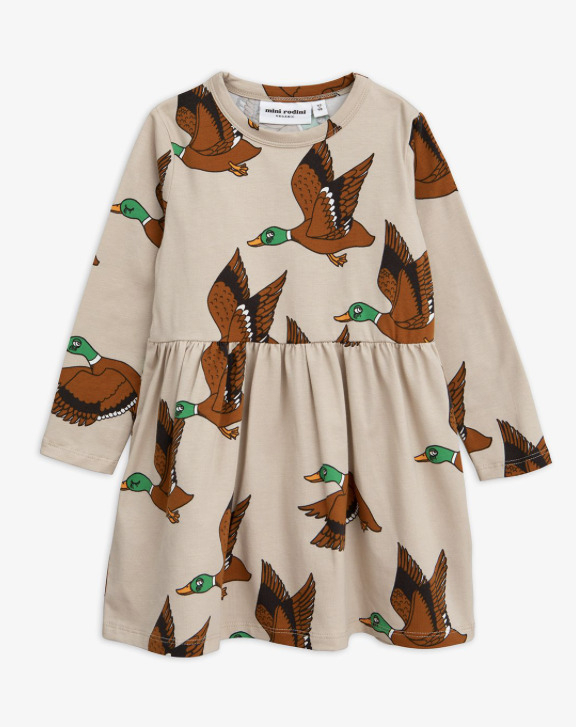 Pair it with tights, leggings or trousers for a complete look. 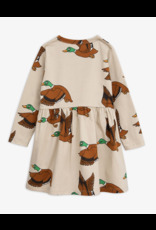 • Snap buttons at shoulder in size 56/62–68/74 for easy dressing • 95 % organic cotton, 5 % elastane • GOTS certified • Made in Turkey The dress is produced in a factory that is part of Mini Rodini’s living wage project. Instead of paying the workers just the minimum, which is almost impossible to live on, we pay a wage that is high enough to maintain a normal standard of living. Since we are working with products that are mainly used by children, the control of chemical use is of the utmost importance to us. 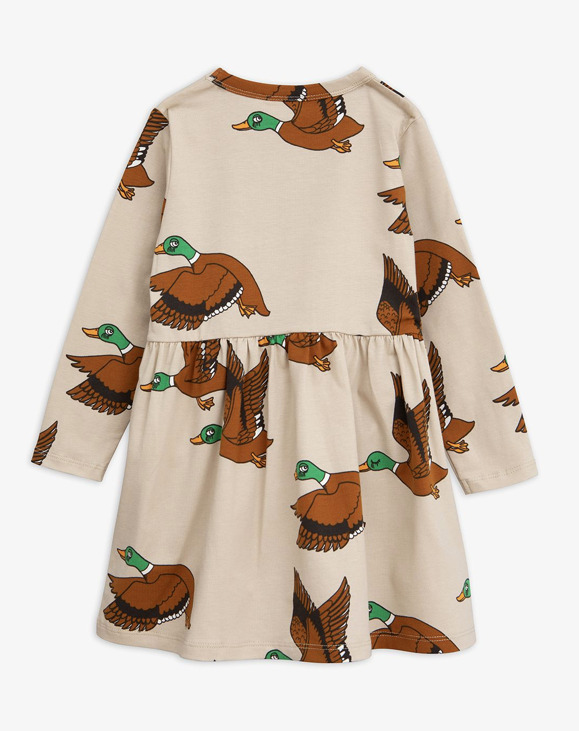 This dress is GOTS certified – the strictest certification for organic material on the market today, which includes rigid controls throughout the entire manufacturing process including chemical use and working conditions.